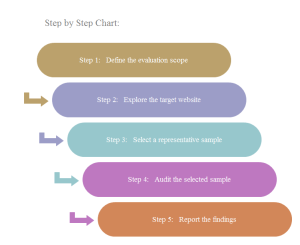 Creating step-by-step chart with free templates and examples. Step-by-step chart has never been easier. Step-by-step chart, as its name implies, is a kind of chart used to display steps of a process. On the top of the step to step chart is the material used in a process. 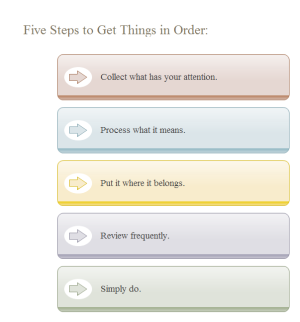 Step-to-step charts can be used to teach people the steps of making something, or to illustrate the details of a complex process. Also, you may add more rows to the chart if the existed ones are not enough. With the smart tools and dynamic symbols in Edraw, you can easily build a good-looking Step by Step Chart to help you list steps, series or topics according to certain order. 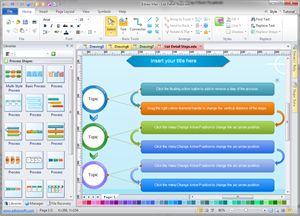 You can design and customize your drawing with its rich color schemes and fill options. You can also use the pre-made themes with only a single click. Once you're done, you can output the drawing to PDF or other graphic format. Edraw is absolutely the best drawing tool that meets your needs. A step by step chart template is available to download in vector format, which you can directly use to start your own step by step chart designs. 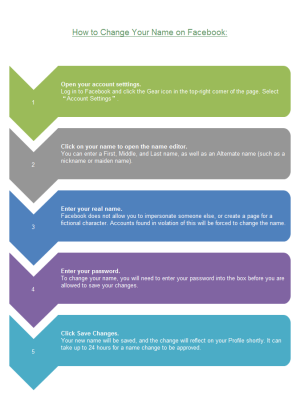 A step by step chart template, well-designed and available in vector format, is presented to benefit users. A simple step by step chart template is ready to use in vector format. Try it for your own designs. 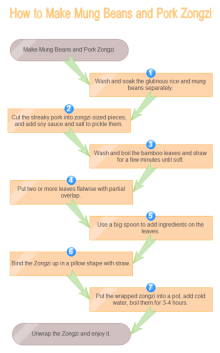 A simple step by step chart example about how to make Zongzi. It is fully editable in vector format. Learn how to make flow chart to show steps.